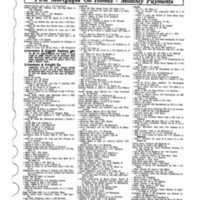 The city directory for Providence, Rhode Island, for 1941. This public record served to provide an alphabetical list of citizens by head of household, their address, and relevant occupational information. A spouse’s name is listed next to the head of household. Death dates of those who have been previously listed in the directory, names of employers, and information about migration to other towns are also included. A notable resident listed in this record is Max Litwin (1911-1995). Born in Poland in 1911, Litwin's father immigrated to the United States in 1914. Max and the rest of his family followed in 1921. They lived in Providence, Rhode Island, along with many other Jewish immigrant families. Litwin worked as an insurance agent and salesman in Providence prior to his military service. In August of 1943, he began his service in the United States Army. He rose to the rank of Private First Class during World War II, and served until September of 1944. At some point after his military service, Litwin moved to Miami, Florida. He passed away in Florida in 1995 and is memorialized at Florida National Cemetery in Bushnell, Florida. 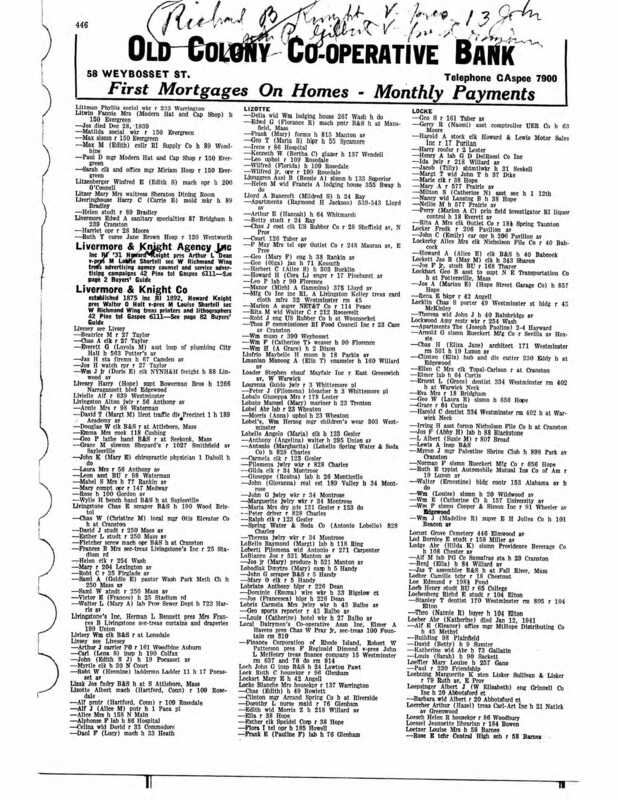 Digital reproduction of original city directory. Originally created and published by the City of Providence. City of Providence . “Providence City Directory.” RICHES of Central Florida accessed April 21, 2019, https://richesmi.cah.ucf.edu/omeka/items/show/10217.